Would you like to get in touch with us? We’d love to hear from you. Or if it’s outside opening hours or, if you prefer to write to us, then the form below will find us, and we’ll get back to you just as soon as we receive your query. 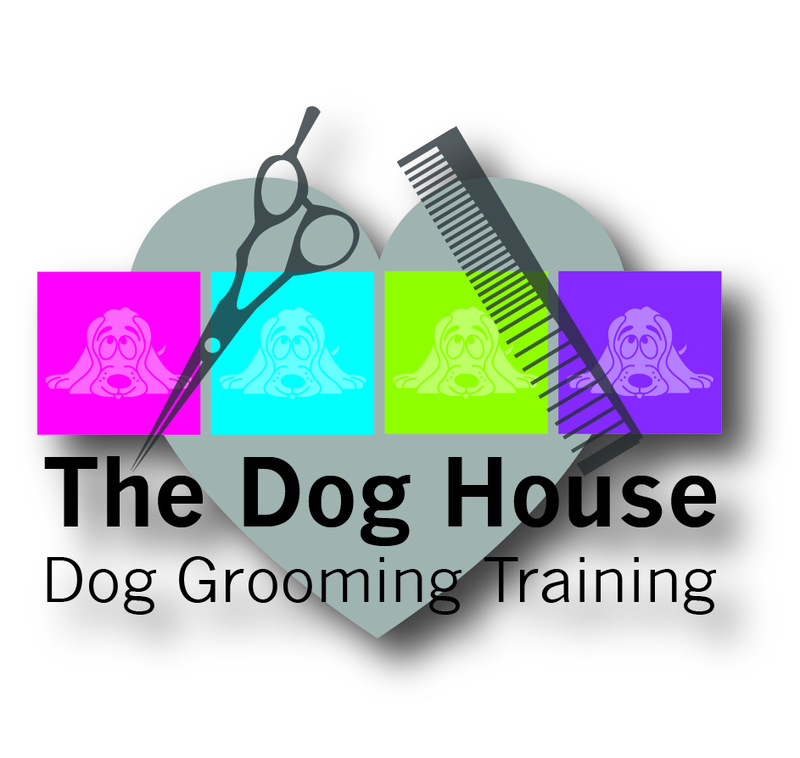 The Dog House is a highly successful and well-regarded dog grooming business offering training by way of Dog Grooming Courses in Fakenham, North Norfolk, to people throughout the UK. 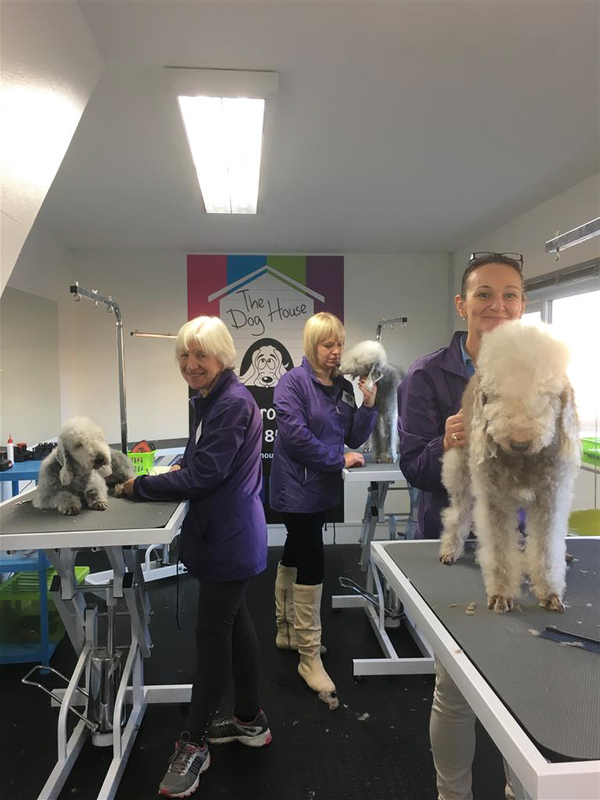 We are also an approved City & Guilds satellite centre offering the nationally recognised Level 2 and 3 Qualifications in dog grooming in conjunction with the Summit Groomer Training Group. We are passionate about our business and offer Quality dog grooming training with an exceptional level of service and care. We are committed to achieving the very best standards in commercial pet dog grooming. 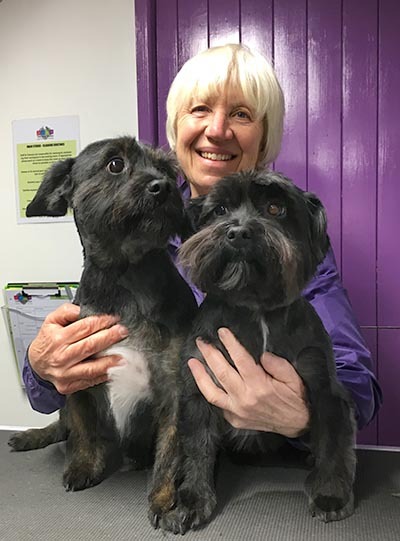 We have a contemporary forward-thinking business ethos and by way of our dog grooming courses, we teach current up to date dog grooming skills as well as the related theory in a busy, modern, well equipped commercial studio. If you’re passionate about dogs and excited about starting a career or business in dog grooming then we’d love to share our skills and knowledge with you. The Dog House is situated in beautiful North Norfolk. It’s a great place to come and train. After an intense day’s work, a walk on our stunning dog-friendly beaches – (Wells-next-the-Sea and Holkham) will enlighten & refresh you. Alternatively, you can relax in one of our many local dog-friendly pubs, hotels or B&B’s. We have arranged some fantastic local accommodation deals, exclusive to The Dog House, to help. Our training courses & qualifications are aimed at anyone wishing to start a career in dog grooming, find employment as a groomers’ assistant, or start their own dog grooming business from home, mobile or from commercial premises. All our courses are fully flexible to fit around your lifestyle. If you are able to commit to several weeks of intensive training we can offer this in consecutive weekly blocks, but if current work or family commitments prohibit this, you can plan your training with us to suit. We work with a maximum of 4 trainees on each weekly training block booked and will plan your preferred training schedule with you, subject to availability, at the time of booking. Our ‘Is Dog Grooming For Me?’ Taster Day, is an unbiased opportunity to spend a day with our team & students learning more about the profession & training options. Ask questions, chat informally, watch grooming demonstrations & get hands on in our busy studio if you fancy a doggie cuddle or two. Find out for sure if this is your future career. Our 10 & 20 day professional dog grooming training courses include the options to gain the City & Guilds Level 2 Dog Groomers Assistant qualification and then the Level 3 Dog Grooming Diploma; nationally recognised achievements, increasingly sought by discerning customers when choosing a new groomer for their family dogs. Our course prices are highly competitive, run on a flexible basis & with flexible payment options to help you budget & plan for your future whilst continuing to work or fit around your family commitments. City & Guilds Level 2 and 3 are also available as Stand Alone options for applicants proving sufficient industry experience & wishing to get up to date & qualified. Our 2.5 day course City & Guilds Level 2 in Competency in Dog Walking is ideal for people offering a professional dog walking service, covering essential health & safety, animal welfare, risk assessing & client consultations. This qualification will give your customers the assurance of a high standard of care for their family dog & give you a marketing edge over unqualified competitors. If you also offer pet sitting services you can add the City & Guilds Level 2 in Pet Sitting to the package.